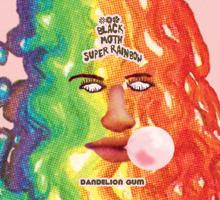 "Dandelion Gum is a concept record loosely-based on witches who make candy in the forest. Each of its 16 songs represents a different candy-induced freakout in the gooiest and sweetest ways possible. Songs that are built to stick in your head for hours meet textures that are impossible to scrape off your teeth. You might not even realize that the sunny melody you're humming to yourself all day has so many hidden layers behind it - all hummable as well. It's as accessible of a record as it is abstract, and as bright on the surface as it is moody underneath. Dandelion Gum feels as colorful and sticky as its name suggests.